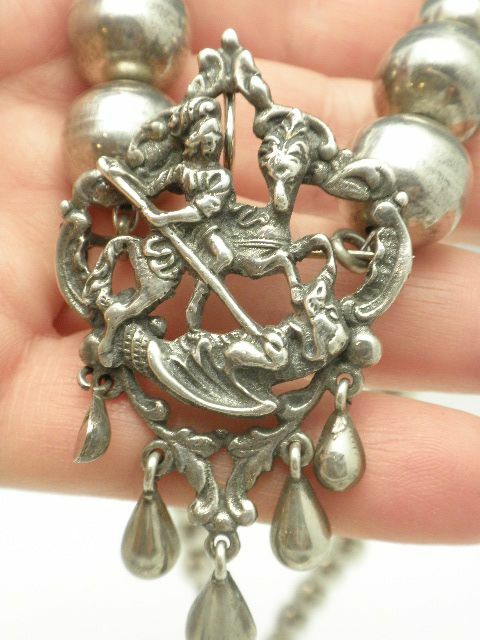 Antique Peruzzi handcrafted one of a kind necklace. 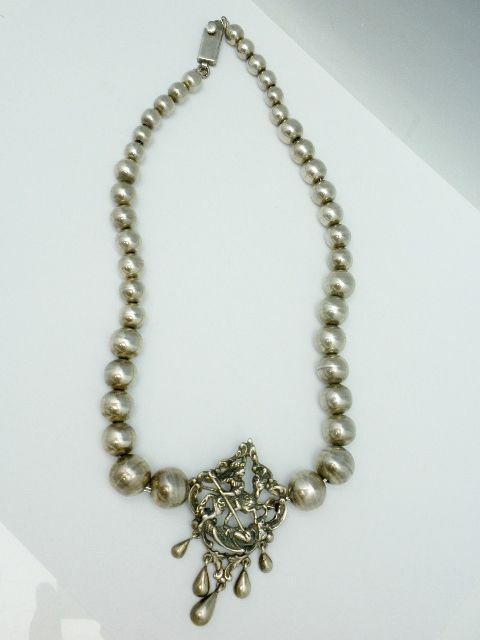 The sterling bead necklace is handcrafted beads strung on a silver wire. 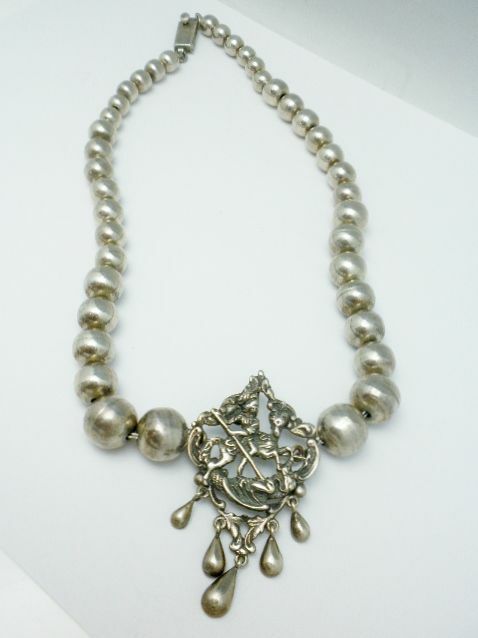 The bead necklace attaches by loops to the brooch center which can be removed and worn as a pendant or brooch. 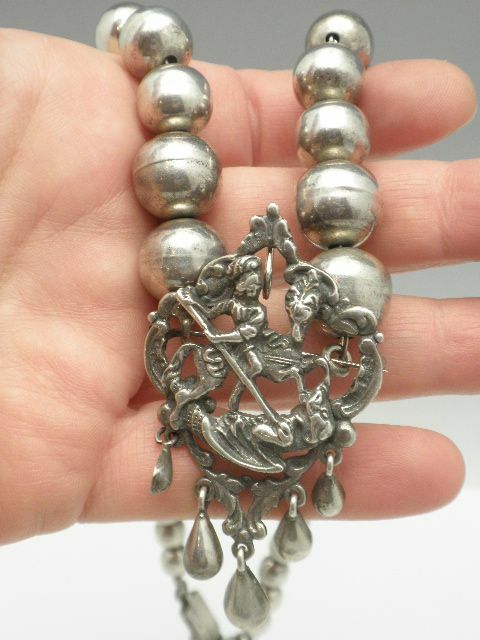 The Necklace measures 19" long. 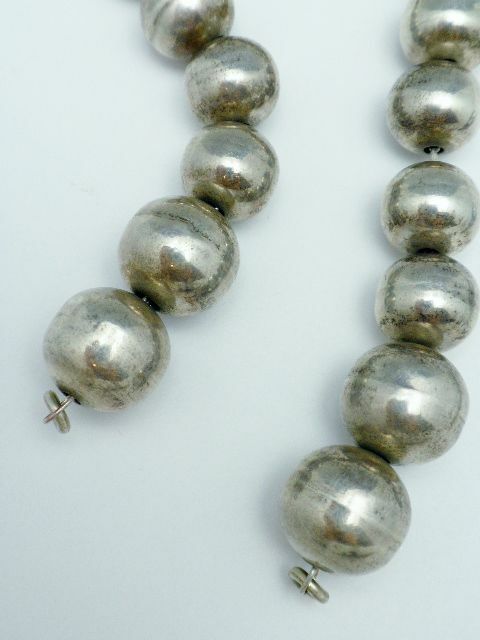 The silver beads largest is 1/2" graduating down to 1/4". 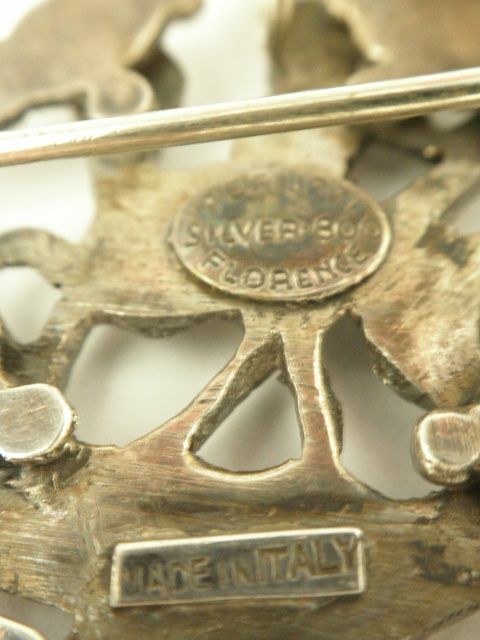 The silver clasp back functions well and snaps into place. 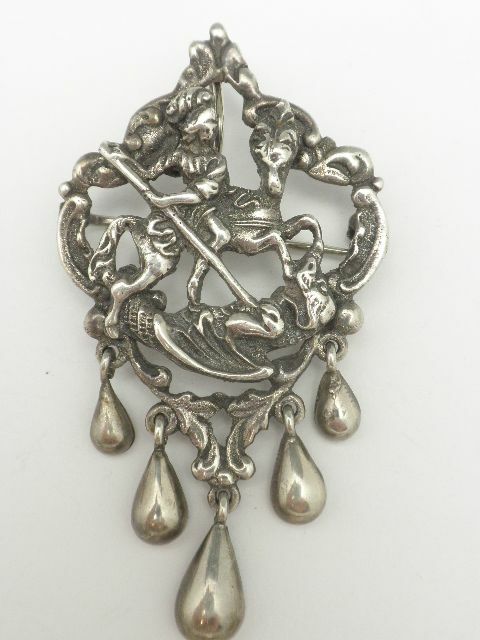 The Saint George & the Dragon Peruzzi centerpiece measures 2 1/2" long by 1 3/8" wide . 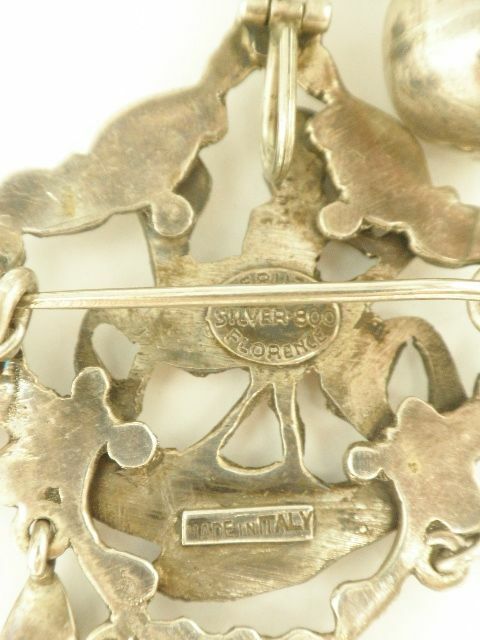 The necklace is solid in structure and weighs 77.8 grams silver.